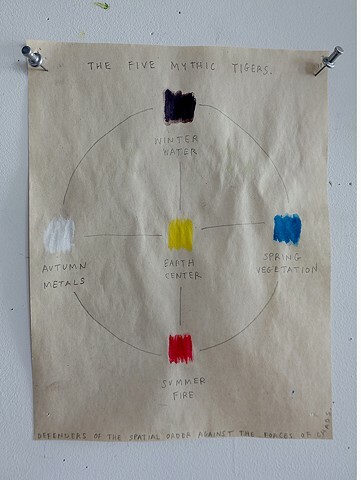 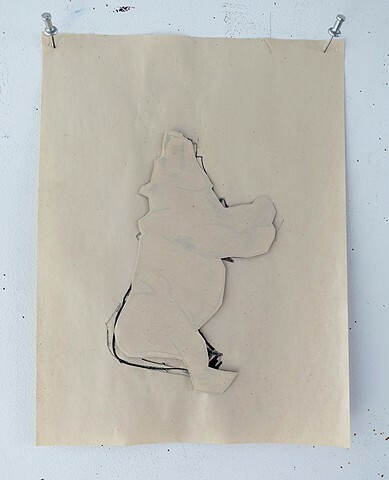 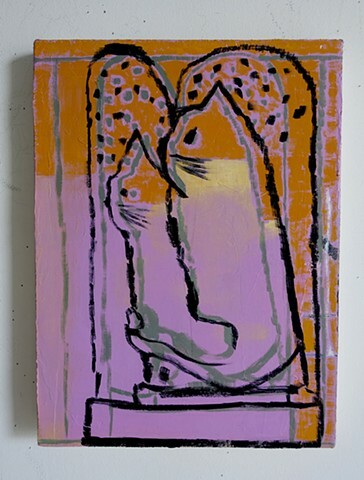 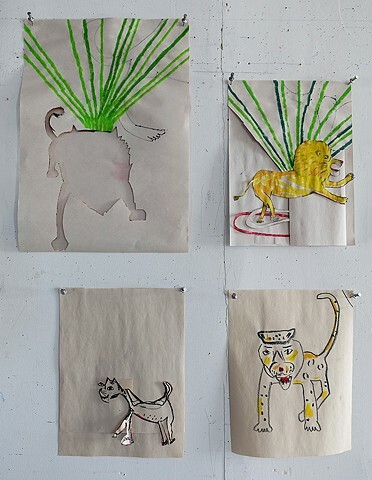 AWHRHWAR is thrilled to present seekers / beasts, EJ Hauser's first solo show in Los Angeles. 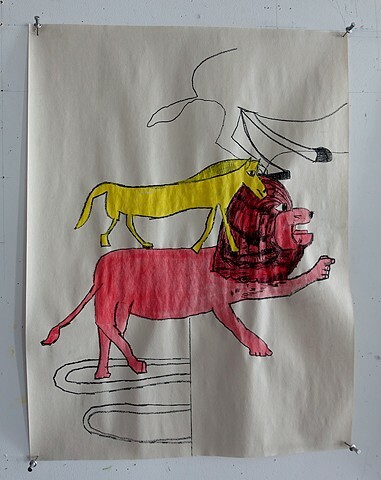 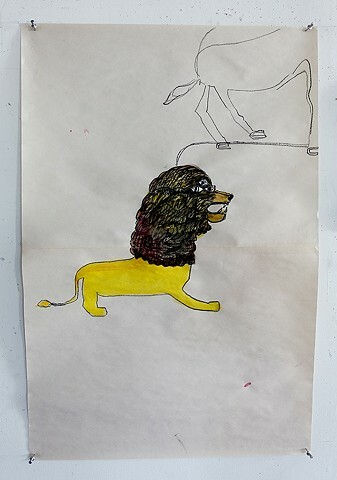 In these paintings and drawings, made during the summer 2017, EJ takes inspiration from the Quaker painter Edward Hicks' early 19th century depictions of the Peaceable Kingdom. 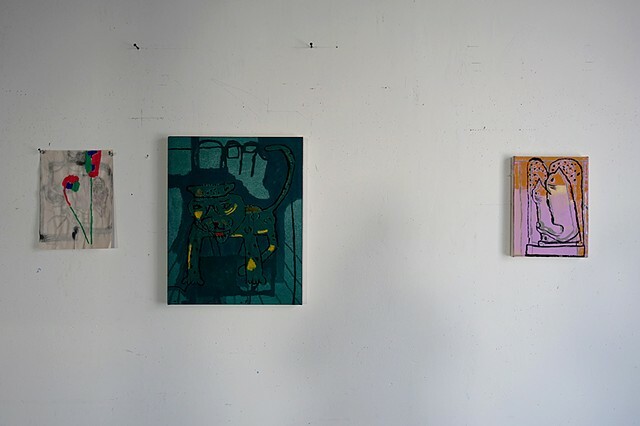 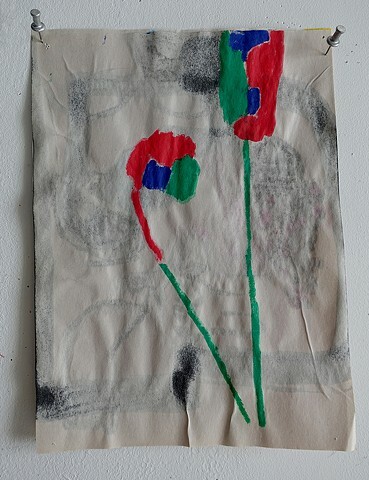 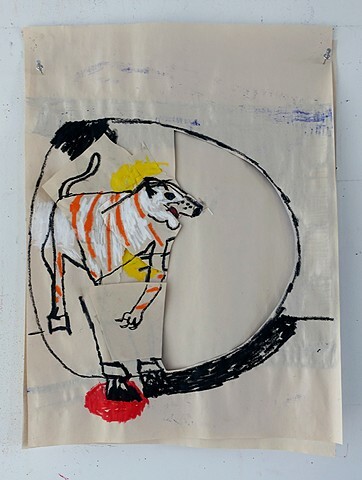 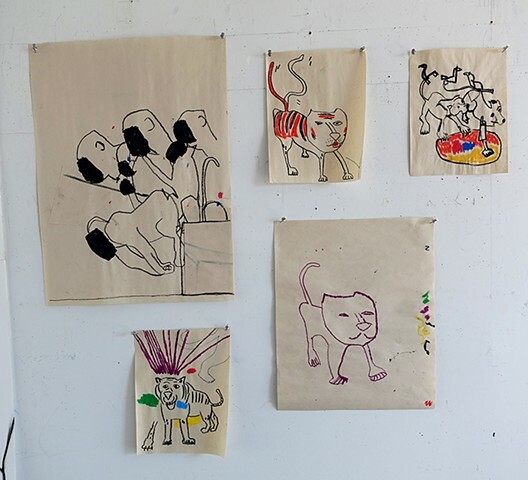 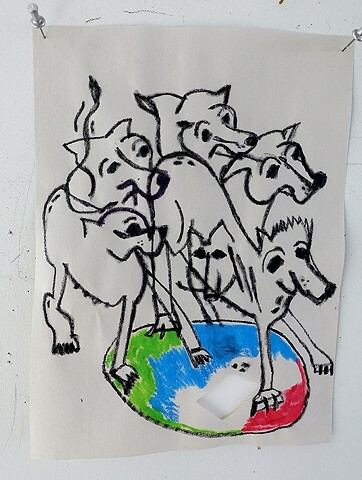 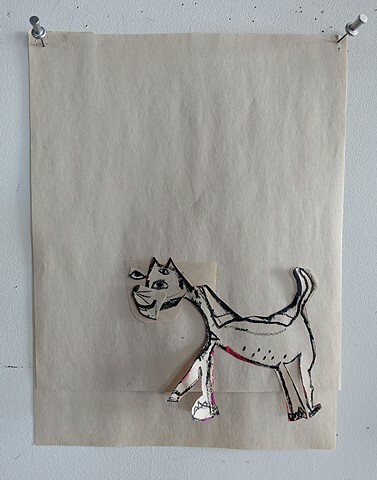 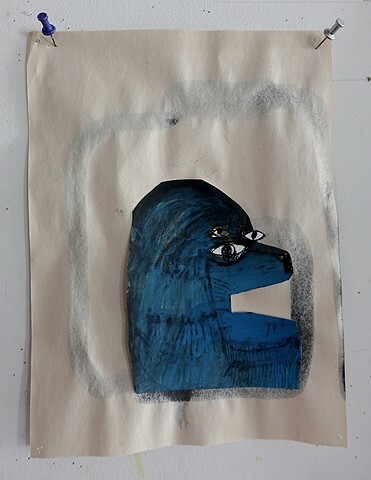 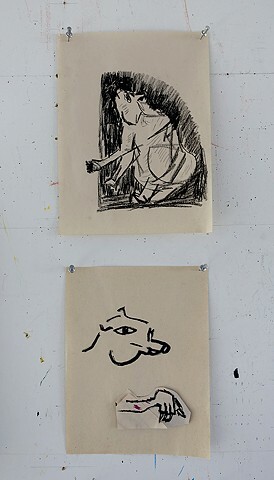 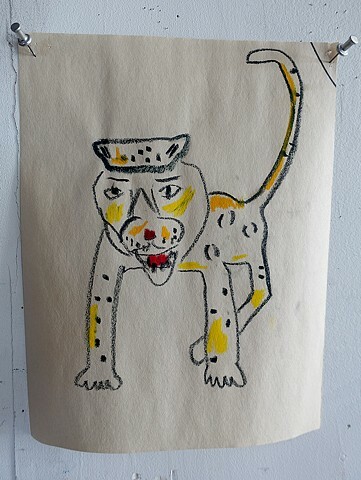 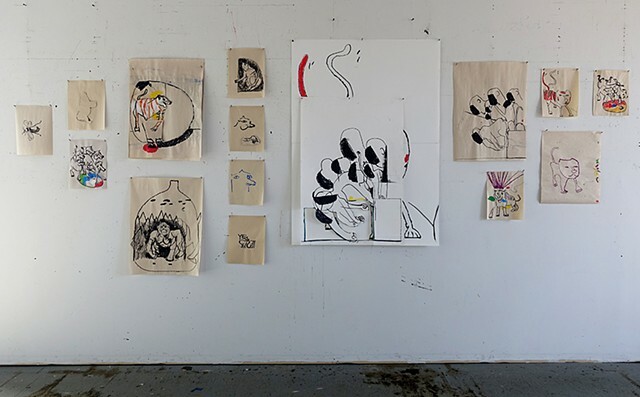 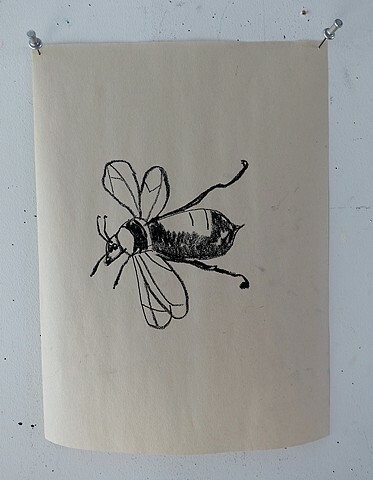 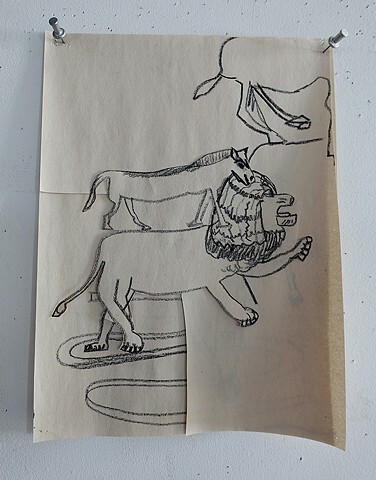 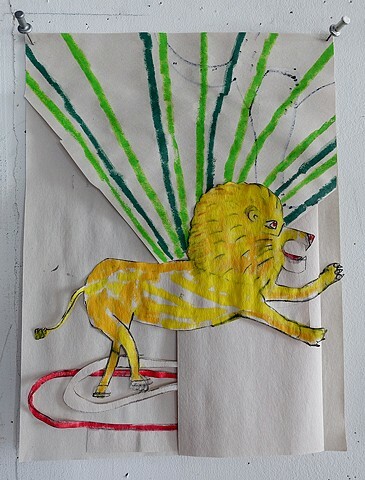 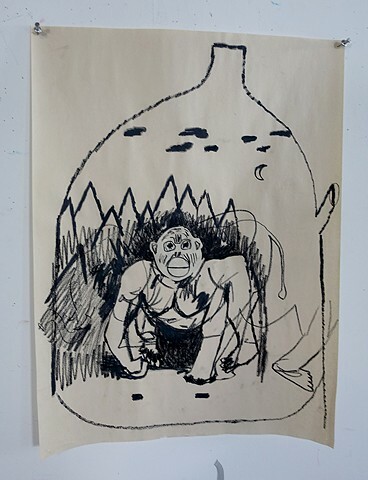 EJ's intuitive drawing practice employs serialization, layerings, editing and cross-pollination to inform paintings as well as embody its own statement. 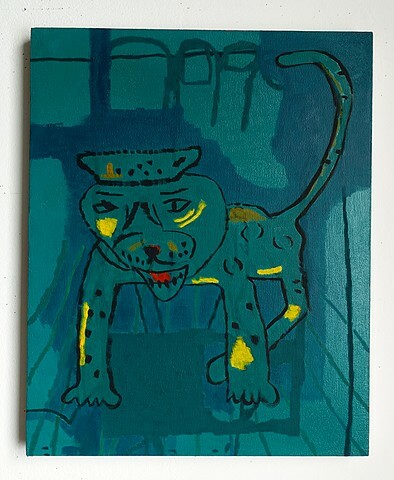 From inside these works, beasts look out at you, some fantastical or potentially mythological, some have three eyes, others are masked, but they are all seekers. 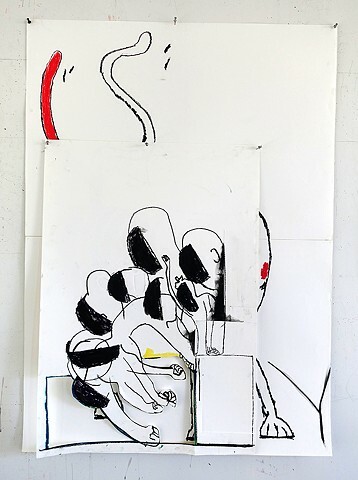 This work is an exercise in visual openness— symbolic and humorous, it presents an exuberant alternative to the stark chaos of now.